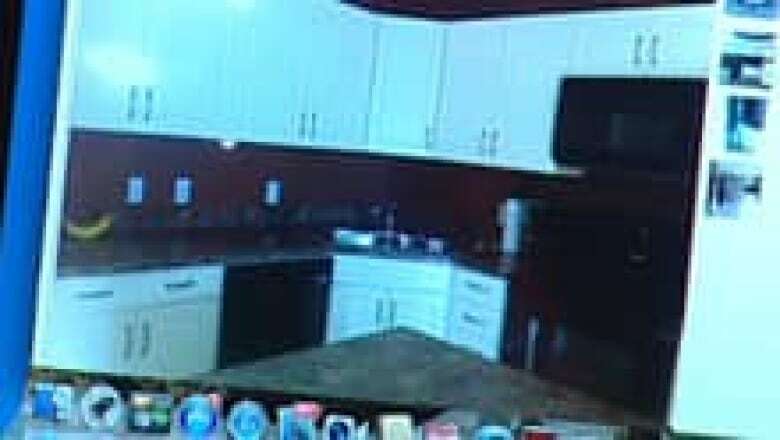 Edmonton Police and the Canadian Anti-Fraud Centre are warning people not to be taken in by an apartment rental scam on Craigslist and other want-ad websites. The scammers lure their victims with attractive ads for rental apartments, condos and houses. The victims are told the owner has been transferred out of town and they will get the keys once they send a damage deposit via Western Union. The apartment may actually exist but the ad is fake, made up of images plucked from other sales or rental websites. "We’re seeing it come up quite often," said Det. Bill Allen of Edmonton Police Service’s economic crimes section. "Weekly we’re fielding phone calls from complainants who have been victimized." Capt. Rebecca Evans, 30, thought she had found the perfect condo on Craigslist. It was nearly new, loaded with amenities and a short drive from the Edmonton Garrison where she is stationed. She responded to the email address listed in the advertisement and received a reply from someone calling himself Leo Jeffrey. Jeffrey asked for more information about her as he was looking for a tenant who would take good care of the condo. "So I thought, I want to win this and I gave him a big overview of who I am, where I work and tried to convince them I was a mature, responsible renter," said Evans. Evans then received an email informing her she had been accepted and would receive the keys once she wired $800 for the damage deposit. Jeffrey told her he had been transferred to the U.S. and had taken the keys because he and his wife had only just made the decision to rent out their Edmonton condo. Evans agreed to send the $800, and was then conned out of another $1,000 for the first month’s rent after being given a tracking number with the company shipping the keys. The shipping company and its website were also bogus. It was only the beginning of a scam that would eventually cost her $2,800. "He sounded like a legitimate family man, and I could hear a baby crying in the background," she said. "I really thought it was authentic. He was saying ‘God bless’ at the end of the emails, and I took that as a sign of some humanity there." "Every scammer loves to take advantage; they’re pretty heartless (and) go after the vulnerable where they can," said Daniel Williams of the Canadian Anti-Fraud Centre in North Bay, Ontario. "The scammers know the psychology of gaining trust. They’ve had a lot of practice doing what they do." Williams says scams such as the one that caught Evans are complicated. The real mastermind is separated from the expendable "runners" who claim the money at Western Union, and may not be in the same country. The scammers hide in the anonymity of disposable cell phones and email accounts. "The complexity of it does indicate that it has to be organized crime. It’s way too much work for an individual to do." Scammers apparently believe Edmonton’s rental market is fertile ground. Go Public Edmonton went to Craigslist and found close to ten rental units advertised by leojeffrey111@hotmail.com, including the ad to which Evans responded. Go Public emailed "Leo Jeffrey" using a CBC account identifying us as CBC producers. We received the same offer Evans received. Using the same CBC email account, we responded to several ads that had the trademarks of a scam. In three days we received offers from four potential scammers. "There’s no golden rule on how not to be a victim," said Det. Allen. "Policemen have found themselves to be victims, and we're supposed be trained to look for these things." There are however, some trademarks to watch for in the apartment scam, especially people who won’t meet face to face, claiming they’ve been transferred out of town. Many of the scammers have an imperfect knowledge of English — poor grammar and spelling are red flags. Experts warn never to use Western Union, Money Gram or other wire services to send money to people you don’t know well as the money will never be recovered. In a new twist, scammers get you to wire money to yourself or a family member. In a matter of hours someone claims the money using fake identification. Experts also warn potential renters to never rent a property without physically touring the suite and being satisfied the person you are dealing with is the actual owner. Despite the prevalence of the apartment scam, Allen said police are unlikely to try to catch the criminals behind it. "They’re very complex to investigate, and it takes a lot of time and resources. And it’s that time and usually resources that aren’t available to do it."